No one on for days , and mine might be numbered too. Just had news, staff at the alley where my leagues are have all received redundancy notices, staff meeting about it has been cancelled twice so everything very much up in the air. Do know the owners have shut centres around the country , one in the middle of a shift. Been told some bowlers can't get access to their gear that they stored at the alley at another. 2 of the leagues that ran through the summer have been cancelled mid season. Next nearest centre is expensive and a good travel so don't think relocation will be an option. One of the leagues that may will be lost has been going for 35 years, not sure on the age of the others. Hate to hear your loosing your center. Your mot alone. If you have Facebook good group keeping tabs on closings. Latest news it will close end of August. Not sure as yet on what will happen to it , current operator rents the building as a bowling centre so will have to leave everything in place. Leaving the landlord the owner of a non operating centre, Its not situated in a good place for redevelopment, for housing, Building was a picture house before its conversion to an alley 60 years ago. The same saga all around. I said it before. I read where there were 265 bowling alleys in the Chicago Phone book in 1965. Today, there are 15. Here, the big chains are hurting while the privately owned houses thrive. Unfortunately that is happening in a lot of areas. I am fortunate to live where I have up to 3 bowling alleys within 6 minutes of my house and 5 with in 25 - 30 minutes of my house. Wow, you are very lucky indeed! In the Albany, NY area there are no more bowling alleys. And of course the one near me (Olympic Lanes in Menands, NY) just closed this past May. 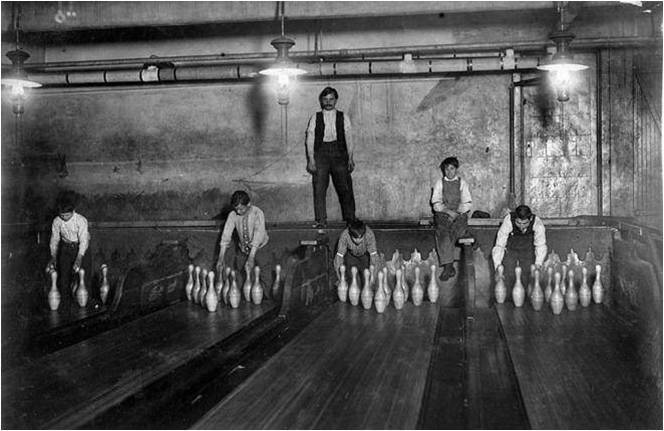 I will be going to Uncle Sam Lanes in Troy, NY this fall. They already have several leagues year round, & will be getting some of the leagues that bowled at Olympic, so more business for them. I'm going to sign up for their Friday night league. I was bowling Thursdays, but Fridays are better for me. Really looking forward to this. Looks like good news for the start of the season. Previous operators have pulled out and since they rented the building as an alley, they've had to leave it as such. Landlord is going to keep it running as a private alley. Whilst looking for someone to come in and take over. I'm afraid I have some bad news this morning. The company that were taking over the ****** have pulled out of **** Bowl and the likelihood is that the bowl will close this month. another email today and the landlord is going to continue as a private center . Now the only thing is how many people have given up hope and won't be coming back. Leagues will start later and I know of a few people who've not bothered renewing their BTBA membership, me included, because we didn't have anywhere to league bowl.